Ready to plan the ultimate beach vacation? 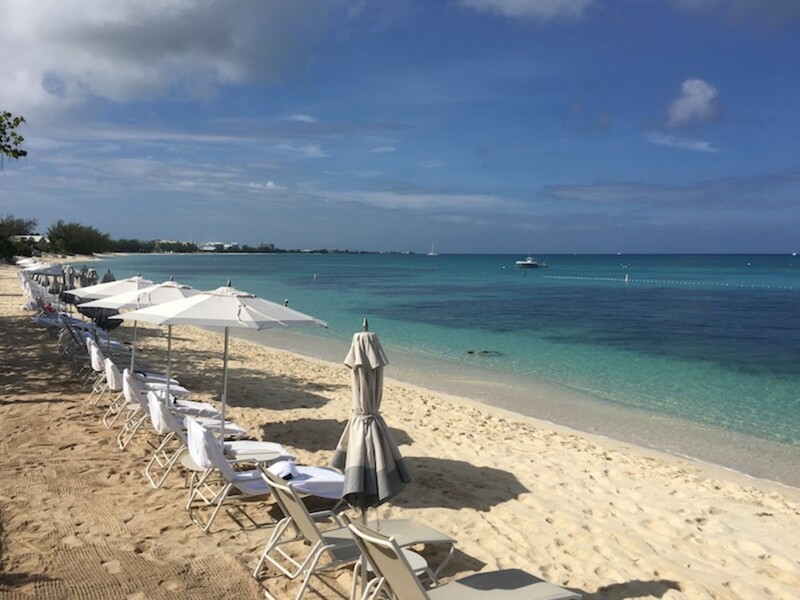 I found something new—the Kimpton Seafire Resort Grand Cayman. Less than a year old, this resort offers all the delights I need from a luxury vacation, while providing so many surprises. For busy modern families, life is stressful. We are all looking for a place to be taken care of and given chances to connect with family. 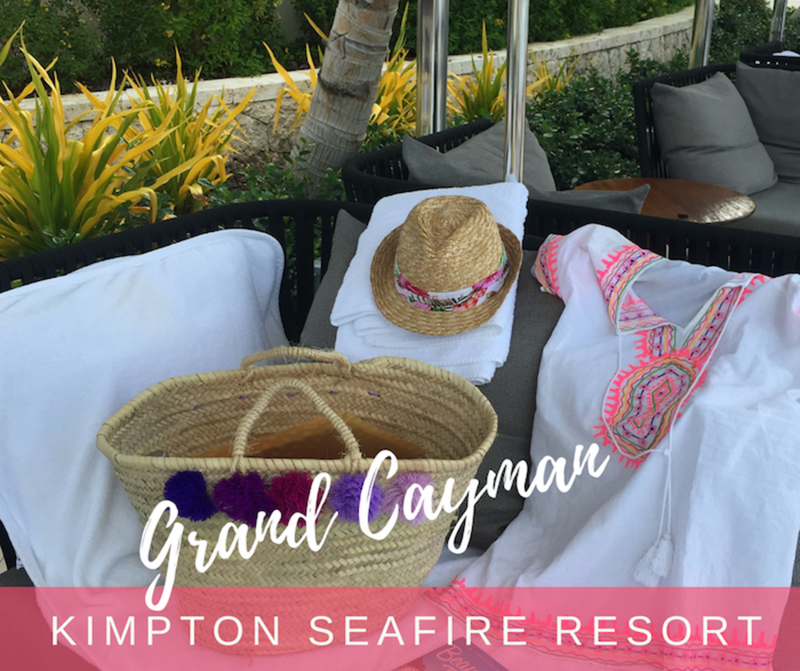 Well, friends, Kimpton Seafire should be at the top of your list. The Cayman airport is under renovation (it&apos;s soon to be expanded), no matter, you can&apos;t beat the charm of being welcomed by island music and fresh breezes. The tiny airport is easy to navigate and find your ground transportation. The Seafire is less than 30 minutes from the arrival gate. Yes, friends, bliss is just around the corner. One direct flight from NYC (Jet Blue or Cayman Air) and a short cab ride away! When I arrived, I was greeted with a crisp glass of sparkling rosé—things were off to a good start. The lobby has an open, inviting feel and the staff was ready to help. Valet parking is a great option—your friends in green shorts will take care of you! I took a few hours to get the layout. It’s a big property with lots of room to roam and lawns for cartwheels or tossing a ball. There&apos;s a lot to take in and the views are completely distracting. For planning purposes, I would recommend giving yourself at least four nights to experience this destination resort. 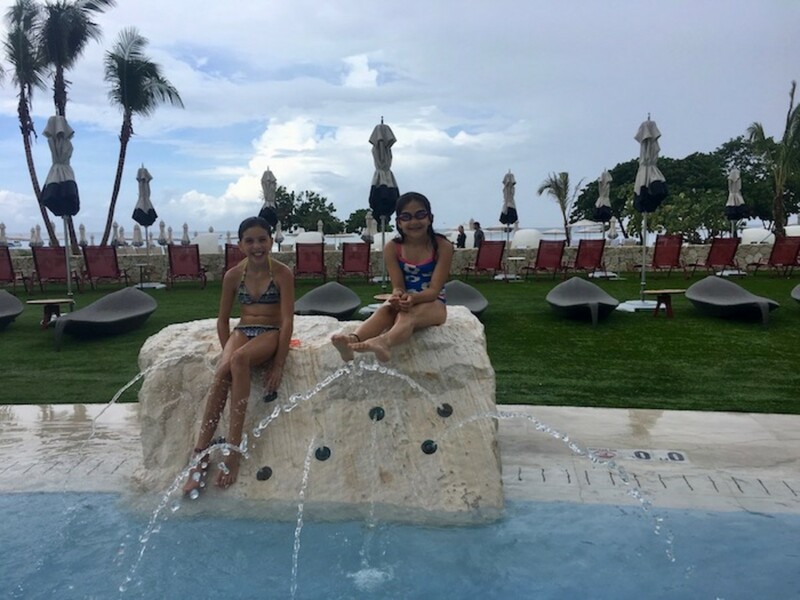 Unlike other resorts, I was happy to know so much is included at the Seafire. Without even leaving the property, you could easily fill two full days. It’s hard to find a bad view from the Kimpton. Since Grand Cayman is pretty narrow, anyway you look you are going to see water. Our views were stunning. We got to see the pool and the surf. 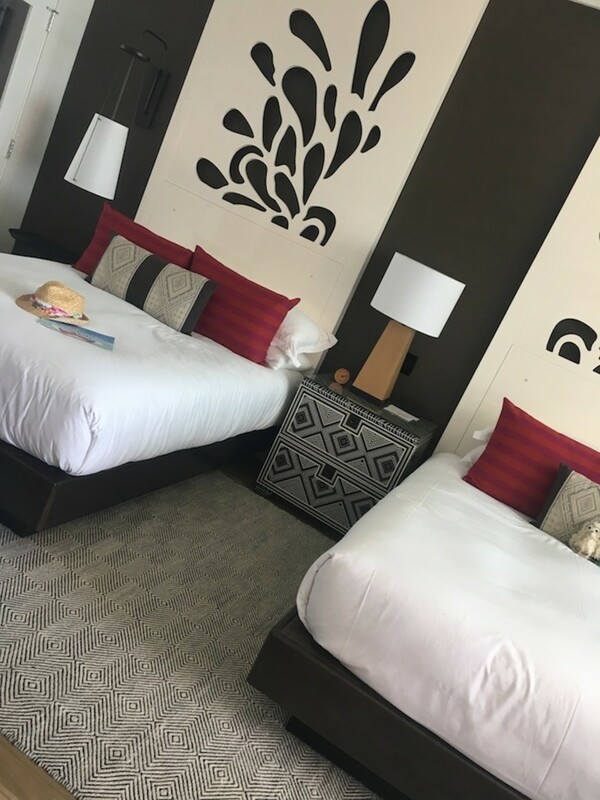 Our room was tastefully decorated with plenty of modern flair and bright pops of color. It was cool enough to be in Miami, yet a little more restrained. The bathroom was elegant with a huge soaking tub and wooden floors in the shower and we had plenty of room to spread out. I also felt a little spoiled to have a wide balcony to sit and watch the surf. Just heavenly. The grounds are manicured and gloriously landscaped. I spotted fresh flowers everywhere. Whoever deigned the hotel did a great job creating little seating nooks. There were secluded areas with loungers and rocking chairs. So many initiations to get outside and enjoy the views. The pool area is a huge draw. Unlike so many other high-end resorts, I’d like to celebrate that the Kimpton has thought out the seating options. Even at full capacity (on our visit the hotel was 97% booked) we could always find two loungers together and an umbrella. Try that in Hawaii! Same story on the beach. You won’t have to do battle with anyone to “save a chair,” go ahead and enjoy yourself. Of course food is important. Mom needs to take a break from cooking, vacation is the answer. 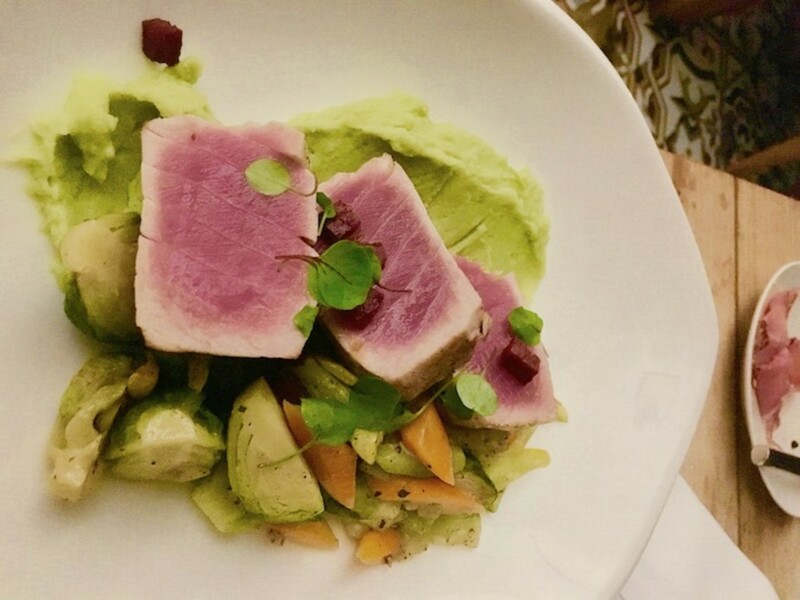 Kimpton puts a high priority on fresh, tasty and vibrant food. To start your day, grab a muffin at the Pantry and don&apos;t miss the free morning coffee and tea in the lobby! Breakfast is served at the Ave. The brunch is a glorious celebration of food. 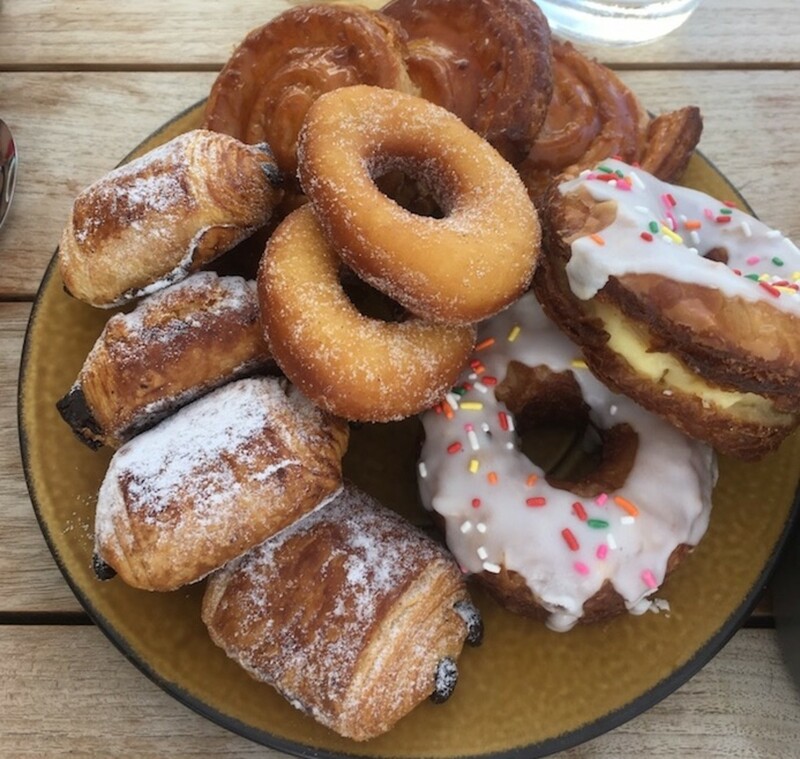 The baked goodies are so yummy—don’t skip the cro-nuts (a cross between a donut and a croissant). My only note—the food is served too high, my 9 year old couldn&apos;t reach the eggs and bacon to serve herself. For lunch, you might not want to leave the pool, why not order lunch to be served under the umbrella. I loved my mahi-mahi sandwich. 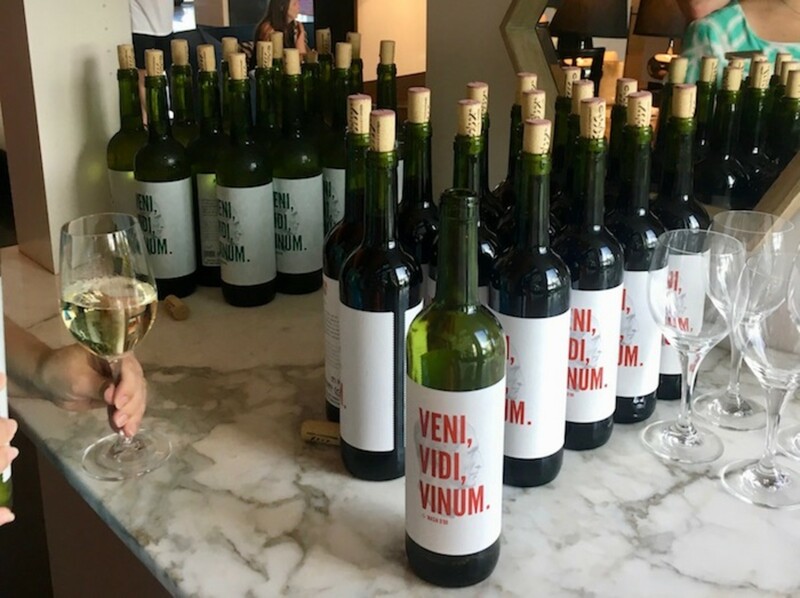 Don’t forget the wine hour, it’s a Kimpton Tradition. 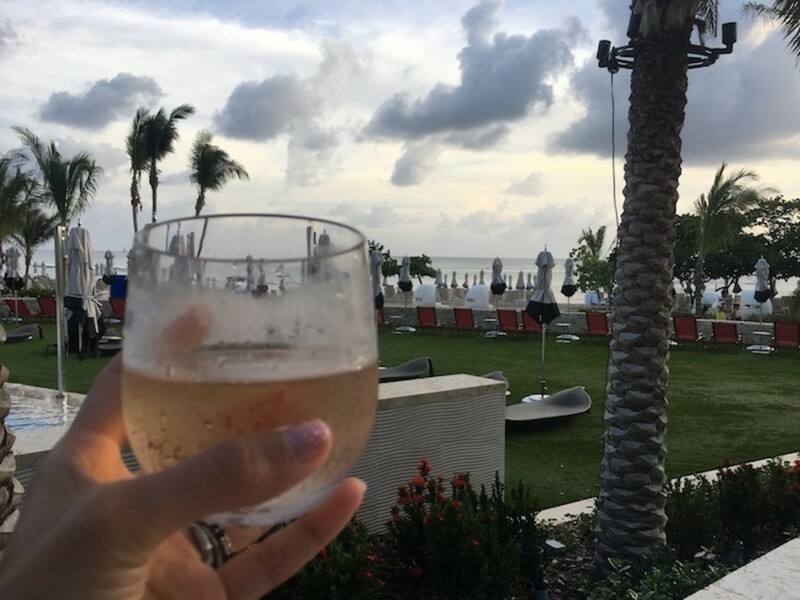 From 5 to 6 PM, you can have a glass of wine and some tasty bites on Kimpton at the Seafire Social hour. 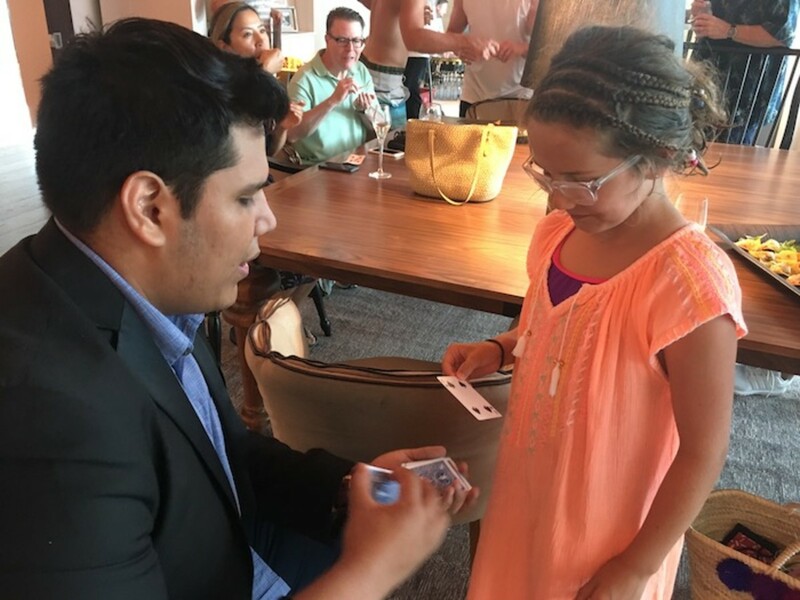 During our stay, one of the Kimpton fam members wowed us with card tricks. At dinner time, there are two options. My daughter and I loved the casual setting of the seaside Coccoloba. I had fish tacos and she ordered beef. Everyone was happy. Set right on Seven Mile Beach, this open-air restaurant overlooks the ocean and I loved the cool breezes and watching the sun go down. Inspired by the flavors of Mexico, this menu is on the spicy side with a nod to the Caribbean. 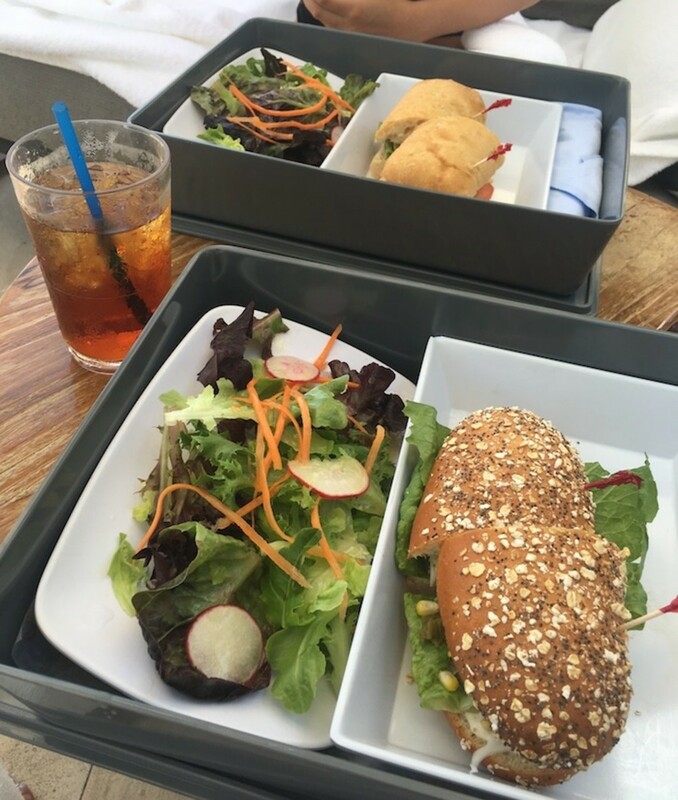 For a more elegant meal, head to Ave. No need to get too dressed up, it is the islands after all! We both ordered fish. She had the salmon and I had the tuna—both fish dishes were cooked to perfection. Chef Massimo De Francesca’s menu makes the most of the ocean goodies, the menu embraces Mediterranean flavors. Momtrends Tip: Good news—kids under 5 eat free! Letting go of it all doesn&apos;t apply to fitness. For me, working out is part of relaxing. 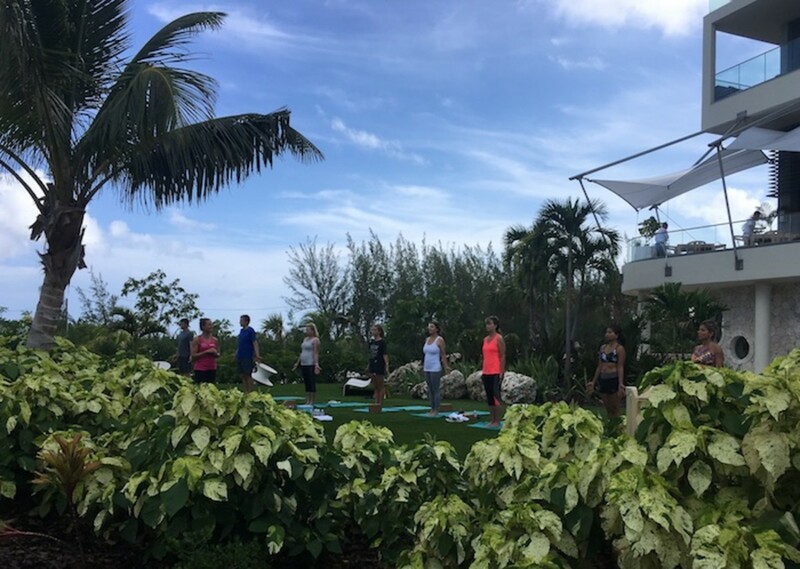 I&apos;m always keen to get my workouts in and Kimpton Seafire makes it easy. If you go early enough, the enormous pool is great to swim laps. But eventually it will fill up with guests. Ocean swimming is also fantastic. The surf is gentle. From the beach, you can pick up a stand-up paddle board and tool around the beach. The Kimpton Seafire gym was amazing! The only thing it was missing was foam rollers. All the equipment was in excellent condition and the air conditioning worked great. The gym sits just outside of a gorgeous lawn and had plenty of natural light. My pet peeve are gyms stuck down in basements. The gym had plenty of free weights, stretch mats and cardio machines. If you aren’t feeling inspired, hire a trainer to whip you into shape. Kimpton also offers daily yoga classes. Guests meet on the lawn out from of the gym. My one regret is missing the SUP yoga class—it was cancelled on my visit. No visit to a resort can be completed without a spa trip. As a busy mom, I relish my chance for a little pampering. The Kimpton Spa was one sublime experience. 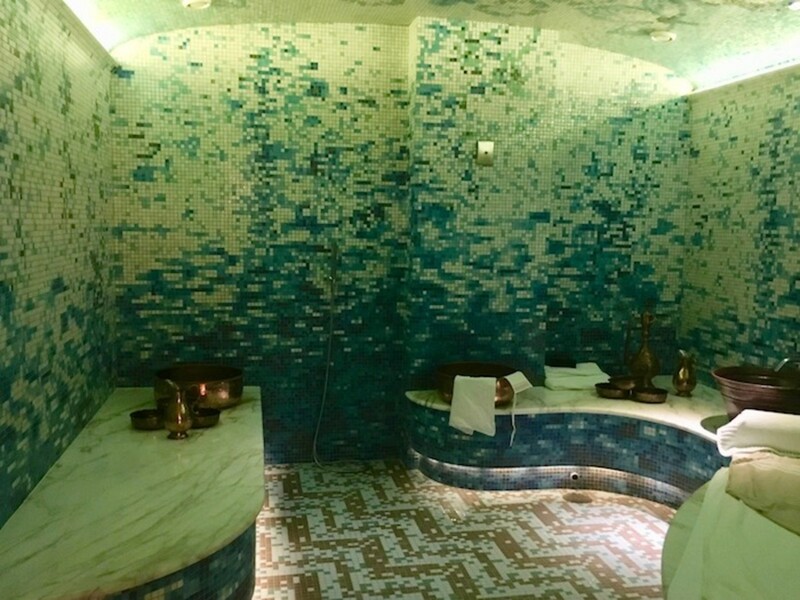 The interiors have a Turkish inspiration and the tile work is simply stunning. Ask to see the hamman. This room is a work of art. The next time I go I’m going to bring Mr. Momtrends and book a treatment in this room. I arrived early to give myself plenty of time to check out the lounge areas. There’s an enormous outdoor hot tub with a cascading waterfall. Note: bring a swimsuit, it’s co-ed. The one thing it was missing? A cold plunge pool. After trying hydrotherapy, I’ve really come to appreciate the benefits of the hot/cold/relax cycle. My daughter and I spent most our time in the water. The gigantic pool was fun to splash in and a great spot to meet other kids. She made a new friend “Z” and happily played together all afternoon. Note: The adult pool is coming! It was closed on my visit, but if you need a break, the option will be there. We loved combing the beach for sea glass and making castles and snorkeling right off the beach. At night, we got a game from the hotel and played classics like chutes and ladders. I gave her some impromptu pool lessons in the hotel lobby (don’t worry, she’s not going to become a pool shark). We were also happy grabbing a bit of shade with our books and just enjoying some down time. There is a kids&apos; club at the Seafire. When I peeked in, it looked like everyone was having a blast. 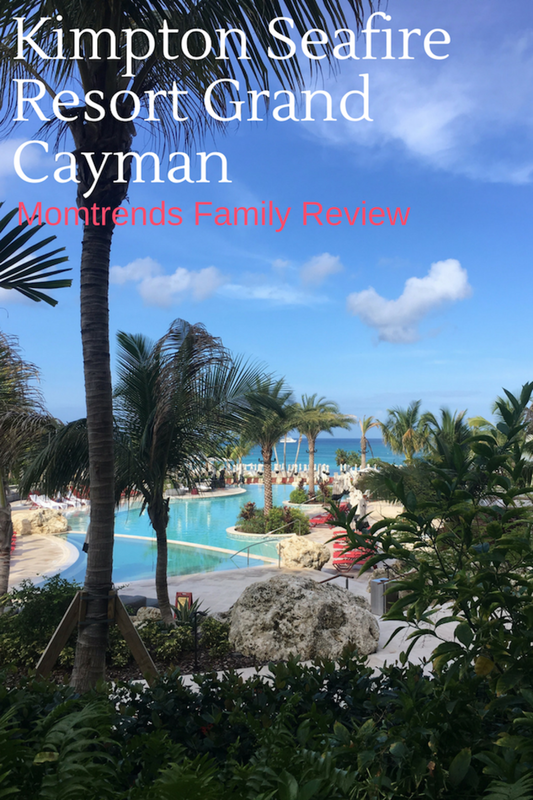 (for more ideas on what to do with your kids on your Grand Cayman Trip visit this post). Kimpton goes out of their way on service. I’ve now been to four different properties and have loved each of them. They have a knack for staying true to the location but providing consistency where it counts. With 266 rooms, you’d think the place would seem impersonal, but NO. Here’s an example. 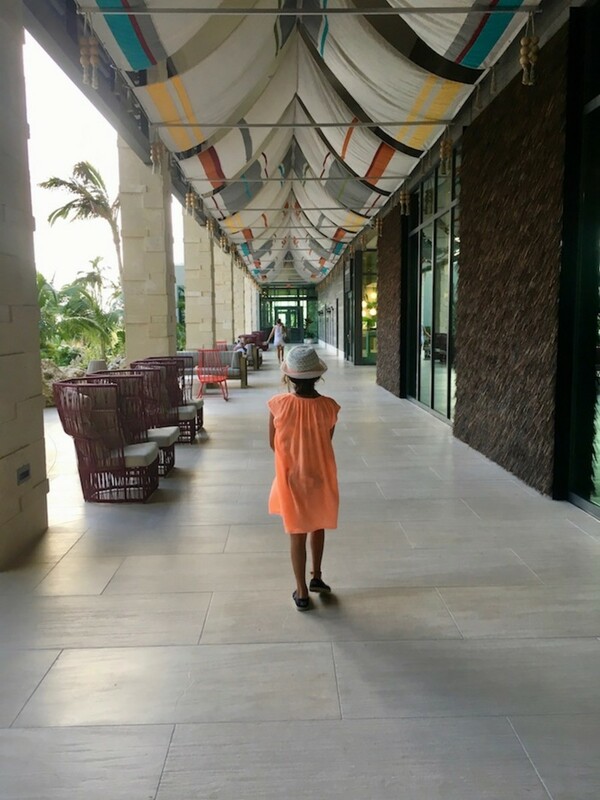 On my first day at the resort, my daughter and I missed the “wine social” hour in the lobby. We were out on a tour of Camana Bay. We returned a little after six and decided to head to the pool. Scott, one of the friendly servers, asked about my day. I told him all about the tour mentioning I just got back. He said, “so you missed the wine.” “yup,” I replied. He promptly asked if I would like a glass “on the house” so a rosé magically appeared poolside. Little things like this go a long way to win over loyalty. Then there were the little notes our housekeeper left us each night. She even left my daughter a sweet little anklet one night. 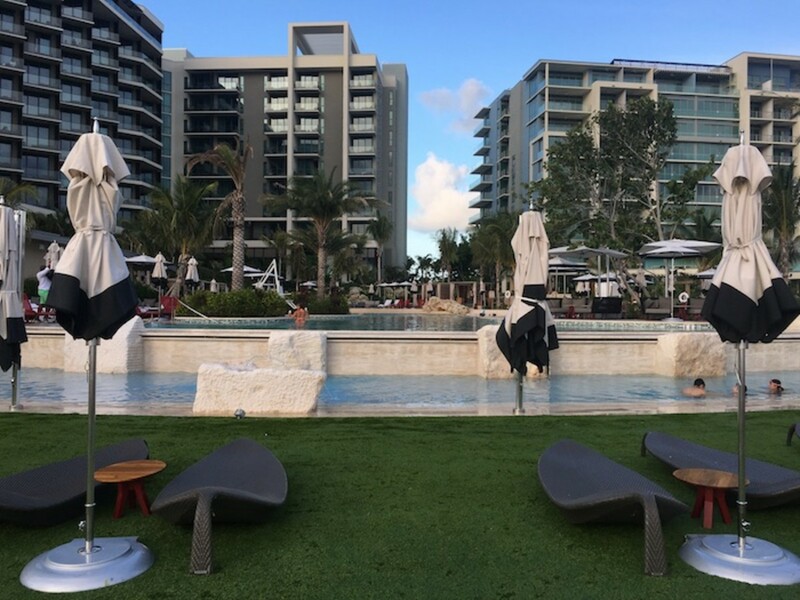 Bottom Line: Kimpton Seafire delivers extraordinary service with a modern twist. If you are looking for fussy, this isn’t your brand, if you are looking for high end fun, book your trip now. This is not a sponsored post. Travel accommodations were made to facilitate this review.